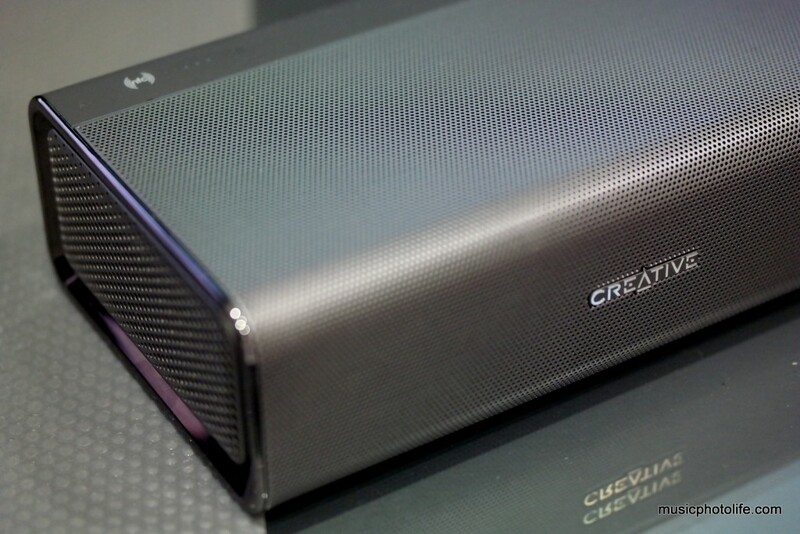 When the Creative Sound Blaster Roar SR20 had its exclusive pre-launch sale at the Singapore IT Show in Feb 2014, it was promptly sold out at 1 unit per minute. Touted to deliver mind-shattering experience, it took over a month before I received a review unit to experience myself. The SR20 is driven by 2 amplifiers, each dedicated to high and low frequencies respectively. 2 far-field speakers for high frequency face forward, one mid/bass speaker faces upwards, and 2 radiators face sideways. This 5-driver multi-facing design is meant to achieve space-filling dispersion. The unit has a low centre of gravity with its boxer-style design. The SR20 is more than just a wireless Bluetooth portable speaker. It is a portable battery charger, speakerphone, built-in MP3 player, audio recorder, alarm, study companion (lifesaver mode), bedtime mode. With such impressive arsenal, what’s there not to like? Turn the unit to its back and you will find all the connectors and buttons to operate the speaker. A DC input for power and charging. A micro USB port to connect to PC for host audio and also charge the SR20. 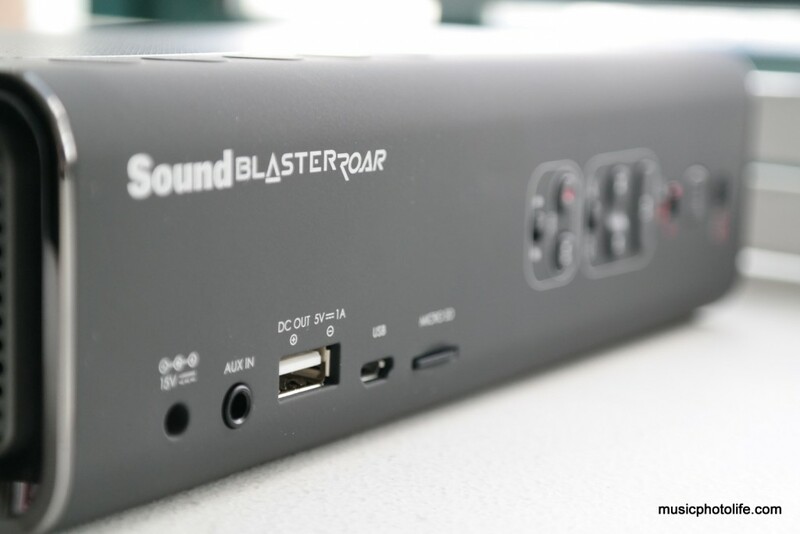 Install the Sound Blaster Control Panel on the PC to enhance PC audio over the SR20 speakers. A USB port to charge your mobile devices. The SR20 battery is rated 6000mAh and maximum output is 5V 1A. You can charge the external device even when the SR20 is switched off. A micro SD card slot to play music without any devices. File format supported are: MP3, WMA, WAV. The SR20 can play both Bluetooth audio and SD card audio at the same time. Recording control buttons to record audio or mic. The mic is located right above the front-facing Creative badge. You can record both the streaming audio and mic at the same time. This button also activates the bedtime mode where the audio gradually reduces volume for 15 or 30 minutes. Siren on/off switch to sound an audible alarm. Use it during an emergency, for instance, to wake up family members in the middle of the night. Life-saver switch to play random sound bites while music is being played. It is rather irritating and disruptive, but I suppose that’s the intention so that you will be kept awake. Power button. Press and hold to turn on or off. 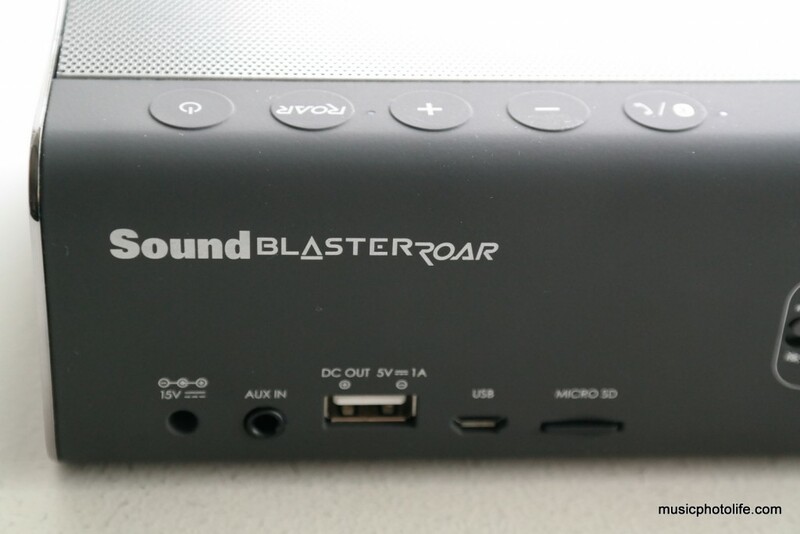 ROAR button to boost audio. It boosts the spatial details and mid-high range, but not much more bass. 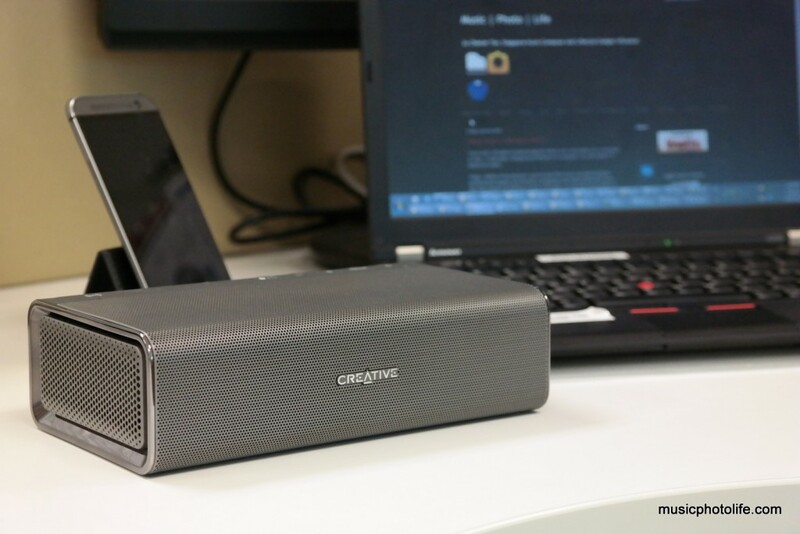 It’s just mind-blowing that in the midst of designing a purposeful portable speaker, Creative also throws in so much other fringe features. The SR20 is one of the few portable speakers that can deliver the low bass, unlike most other portable speakers where the sub-woofer is usually non-existent. The 5-driver design has the unique advantage of filling the room with music, even at low volume levels. This makes SR20 a very good speaker for ambience. The SR20 plays out music with sufficiently clear treble and audible bass, but I find that at high volumes, the sound goes a little out of control and turns out a little noisy. 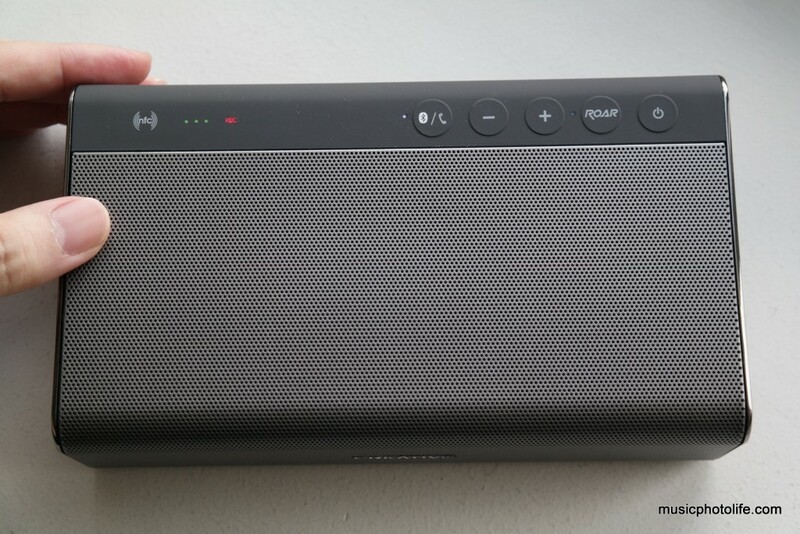 Having pampered by the impressive sound of the Bose SoundLink Mini, I naturally referenced the SR20 to that. 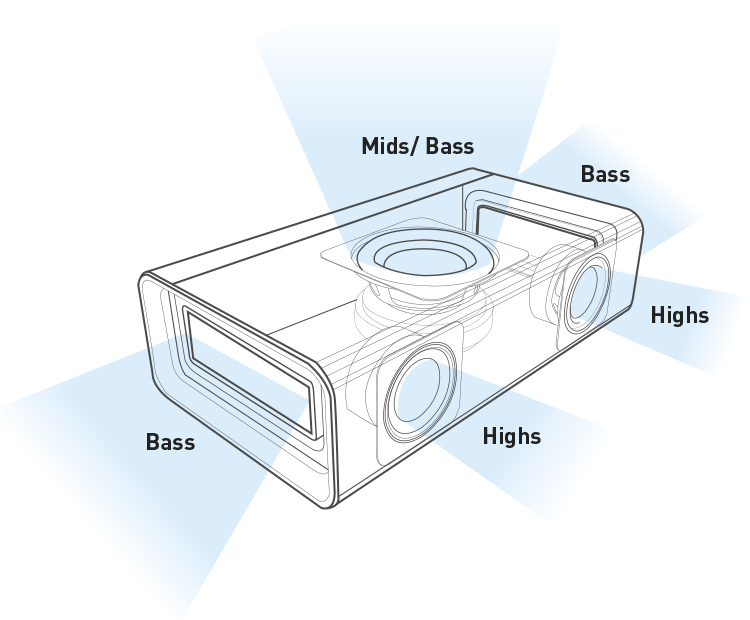 Portable speakers have physical limitations: if the treble is loud, the bass could be drowned out. Such is the case for SR20. Bose SoundLink Mini appears to have achieved a better control of the audio polarities, as it produces a more consistent subwoofer response which does not seem to be too affected by the treble volume. The SR20, while having an impressive ability to produce audible bass, is dependent on the listening distance, music source, and playback volume. On top of that, as the speaker drivers face different directions, the SR20 has a more dispersed audio characteristics while the Bose sounds tighter. Do not take the above analysis to imply that the SR20 is an inadequate product. Rather, it’s in my opinion that the Bose SoundLink Mini delivers better audio tone (though it does not have much other features). The undeniable fact is that the SR20 has the uncanny ability to produce a full frequency range from the treble to the low bass, which no other wireless portable speaker could match at the price point. 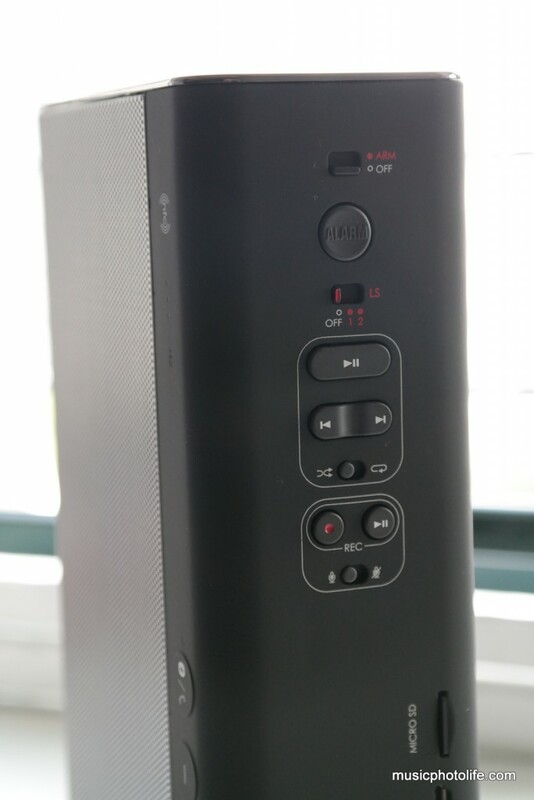 The SR20 is a stunning product with the amazing price and the Swiss-army knife-like list of features (it is still offering at S$199 on the Creative online store), and I have no qualms to proclaim that the “Audiophile Sound Booklet” SR20 is the best wireless portable speakers I have reviewed in terms of overall value and audio capabilities. I highly encourage you to place an order promptly before Creative ends the promo price of S$199. Pingback: Christmas Gift Guide 2014 – Music.Photo.Life.